Lima is the capital city of the Republic of Peru and is located in the central coastal region of the country. The city is part of an elaborate ecosystem that includes the Chillón, Lurín and Rímac Rivers. The city has a scenic view of the Pacific Ocean. Below are some facts about the city. 1. With a population of about 9 million people within its Metropolitan area, Lima is the fifth largest city in South America. 2. Lima is the second largest desert capital city after Cairo in Egypt. The city is located on a desert strip between the Pacific Ocean and Andes Mountains. 3. A third of Peru's population call Lima home. 4. 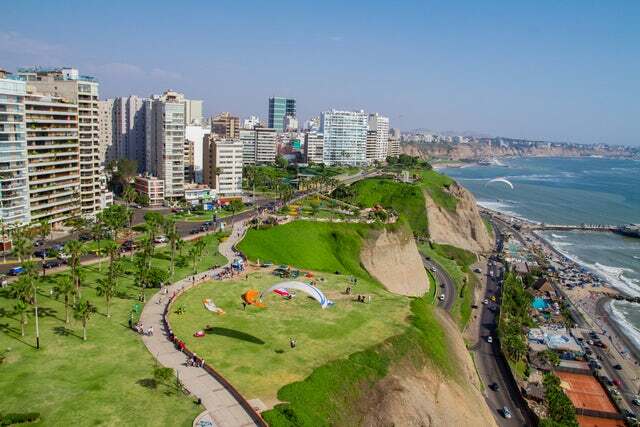 Lima occupies an area measuring 2700 square kilometers and has a coastline that extends for 80 kilometers. 5. Lima is connected to the Peruvian highlands by a Central Highway that traverses through scenic countryside. 6. Lima, being a desert city never experiences proper rain. Rather, it experiences some drizzle. 7. For the tech-savvy tourists, there is free Wi-Fi at Parque Central de Miraflores. Note that the internet connection might be unreliable. You are better off in a per second-billing cyber cafe. 8. Lima is home to Peruvian gastronomy exploits. Here, you will feed like royalty at very little charges. 9. Lima was founded by a Spaniard conquistador called Francisco Pizarro on January 18, 1535. 10. Lima was called La Ciudad de los Reyes which is translated as "The City of Kings." It became the capital of Viceroy of Peru until Peru gained independence. Lima is one of those interesting cities that one wishes to stay forever. The weather is good, the food is awesome, the people are friendly, it has lots of fun activities to engage in and is next to the sea. If you want a holiday experience that you will never forget, then choose Lima. The city will give you something to talk about for generations. While at it, make sure you take pictures. Destinations like this make you want to live longer and experience more just like it.